You don't have to be a National Geographic photographer to take your digital camera on the road. Whether you're embarking on a week-long vacation, a weekend getaway, or even just a day trip, you might want to bring your digital camera with you for better photos than you can snap with your phone alone. But what accessories do you need to take the best photos and to keep them safe? I've rounded up a collection of gear designed for traveling photographers. You won't need to bring everything on this list unless you really are a Nat Geo pro, but you can use the list to find all the essentials that work for you. 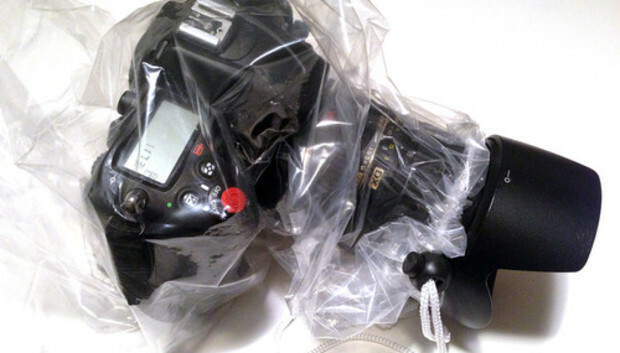 Put it in a proper bag: How do you carry your digital camera? If you're still stuffing it into a backpack designed for schoolbooks or not using a protective bag at all, consider upgrading. No bag is perfect for all setups, which is why you'll find roughly a million of them for sale in camera shops and online; but you can narrow the field by looking for a case style that best suits your lifestyle and equipment (a backpack versus a messenger bag, for example). Look for a bah with a healthy amount of padding and with separate compartments for lenses and other accessories you want to carry. Some camera bags have room for electronics like an iPad or laptop, as well. For additional pointers, check out TechHive's camera bag roundup. Keep the rain away: When you take your camera outside, you may face a risk of rain--and with rare exceptions, cameras aren't designed to thrive in wet environments. At a minimum, to avoid damage to your camera and lenses from unexpected showers, grab a disposable rain cover like the Op/Tech USA Rainsleeve (two for $7)--you can even use it to take smartphone photos in the rain. For heavier-duty options, consult TechHive's rain cover roundup. Carry spares: The longer you're away from home, the likelier you are to run out of something useful, like battery power or snacks. It's a great idea to equip yourself with two fully charged batteries when you hit the road--one in your camera and a spare in your camera bag--plus a charger if you're going to be away for more than a day. And since memory cards are crazy cheap these days, it makes sense to carry two or more such cards. Don't rely on a single card, no matter how big it is, because if you do and it fails, you're out of business. Use your phone for sharing: We've long been fans of the Eye-Fi card; it's an ordinary Wi-Fi memory card for your camera, but it also uses Wi-Fi to upload photos wirelessly to your PC. When you're on the go, you might appreciate the new Eye-Fi Mobi (starting at $50 for 8GB), which is designed to send photos from your camera to your phone, for automatic posting to the photo-sharing service of your choice. Pack a better flash: Need a flash to add light to a shot? The Lightscoop (for digital SLRs) or the Lightscoop Jr (for compact cameras) bounces and diffuses light from the built-in flash--and it takes up almost no space in your camera bag. Both products are currently available for under $20 each. Steady your camera: Shooting from a stabilized mount makes almost any photo look better, but tripods are big, bulky, and clumsy, so you might not want to take one on a trip. For a lightweight, compact, unconventional alternative, try the Joby GorillaPod (the Original model costs $20; the fanciest of the other five available models runs $100). Or check out The Pod (available in a range of sizes at prices from $8 to $45), which is essentially a beanbag with a tripod mount. Consider carrying a laptop and cable: If you're going to be away from home for more than a day or two and you want to protect your photos, your first line of defense is a laptop. Bring your laptop with the appropriate memory card reader or USB connection cable, and you can copy photos from the camera to the PC each evening, keeping them safe. You can edit them, too. Another option is to store your photos on an iPad, which you can do if you get the Camera Connection Kit ($29). Prepare to back up: Last but not least, consider carrying an external hard drive with you. The decision here comes down to how neurotic you are about ensuring that you've protected and backed up your photos. A palm-size hard drive like Seagate's Slim Portable Drive costs under $100, holds 500GB of data, and connects without requiring external power.